Welcome to The Hollinger House Bed & Breakfast! 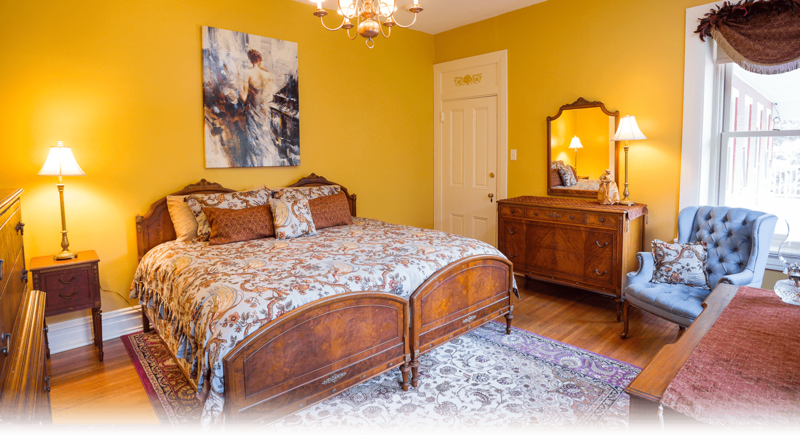 From the moment you enter our Bed & Breakfast, Brandy & Theodore make it their mission to make you feel at home. 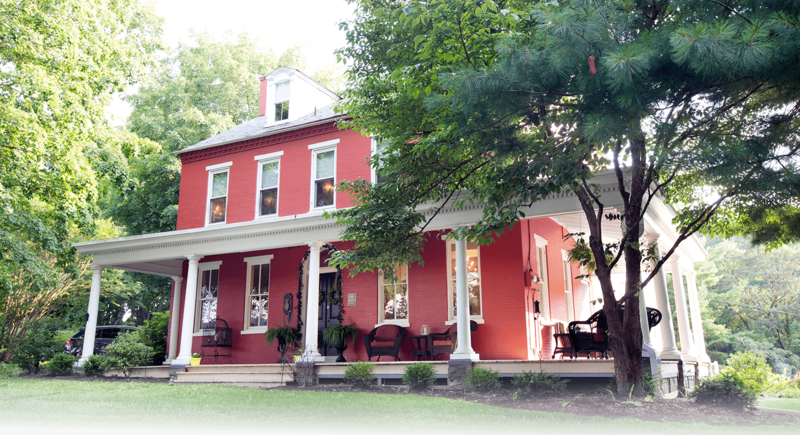 You’ll be greeted with a smile, fresh baked cookies, and a glass of relaxing red wine. 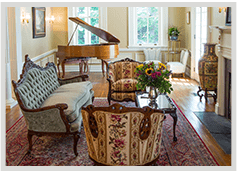 Built in 1870 by the Hollinger family, the home is furnished in local artwork and period furniture with all the modern comforts and conveniences you expect in a home away from home. 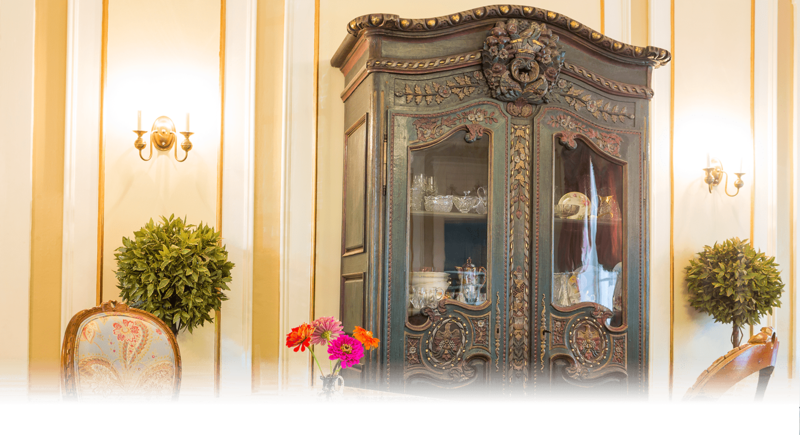 Every room features unique décor, treats and splashes of character that make the home a joy to explore. 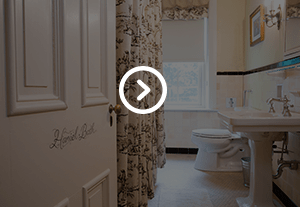 Your bedroom is not your only quarter when you stay with us. 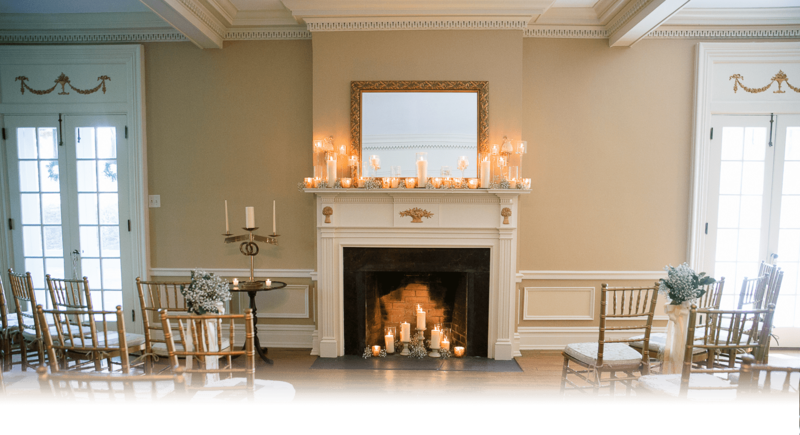 We offer our entire first floor as a common area for guests to stretch out and unwind. 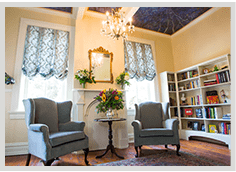 It features a library, complete with a ceiling mural by Lancaster’s own extraordinary talent, Freiman Stoltzfus, as well as a grand living room with period furniture and a baby grand piano, plus a game & TV room outfitted with board games and films. 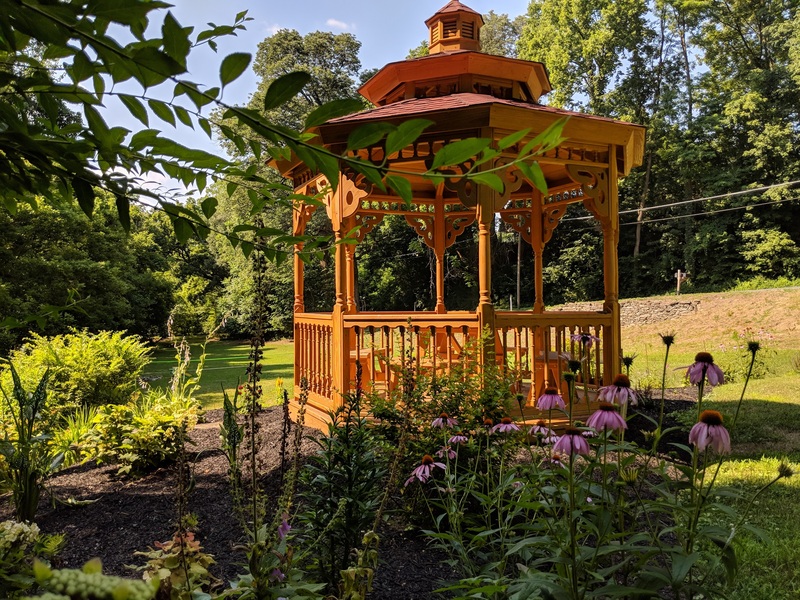 When you want to experience the vibrant nature that Lancaster County has to offer, you can step right outside our front door and on to six acres of manicured land dotted with bright gardens, an Amish-made gazebo and a peaceful stream nestled among lush trees. 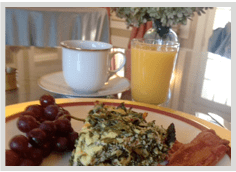 Each morning you will be treated to a two-course gourmet breakfast featuring the finest seasonal produce from nearby Amish farms and our own vegetable garden, as well as local meats and dairy. Our breakfast begins with a locally made yogurt topped with fresh fruit and our homemade granola. Our main dishes are created in house, and we’re always coming up with new ways to satisfy every appetite and are happy to accommodate dietary restrictions. 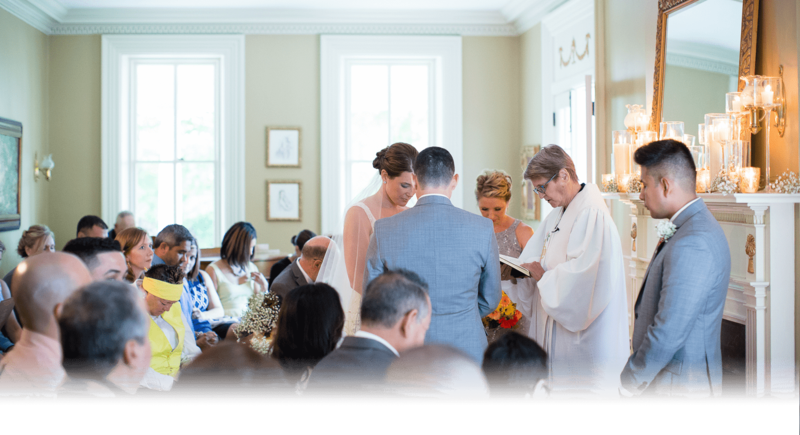 Some staples include Eggs Benedict with a Spicy Hollandaise Sauce, French Toast stuffed with local Strawberries & Mint, as well as Crustless Quiche filled with zucchini, bell pepper, tomato, chive & basil all grown on site. 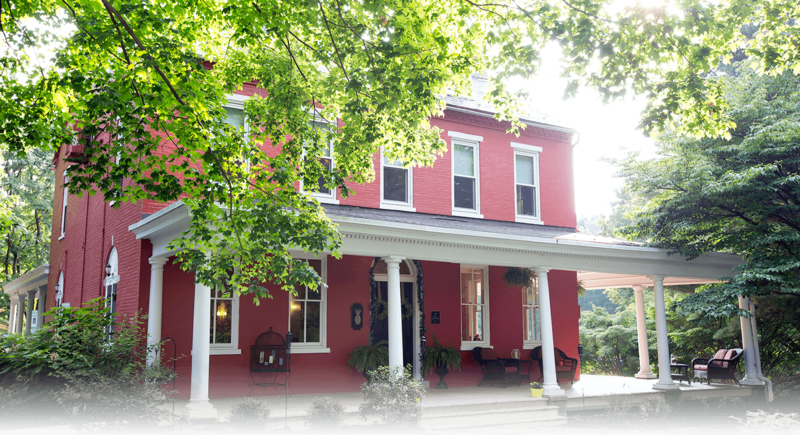 The Hollinger House B&B is the perfect centerpiece for your trip to beautiful Lancaster County, PA. 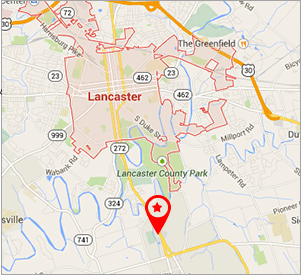 Historic Lancaster City, with its revitalized shops, eateries, art galleries & theatre is only a few short minutes away. 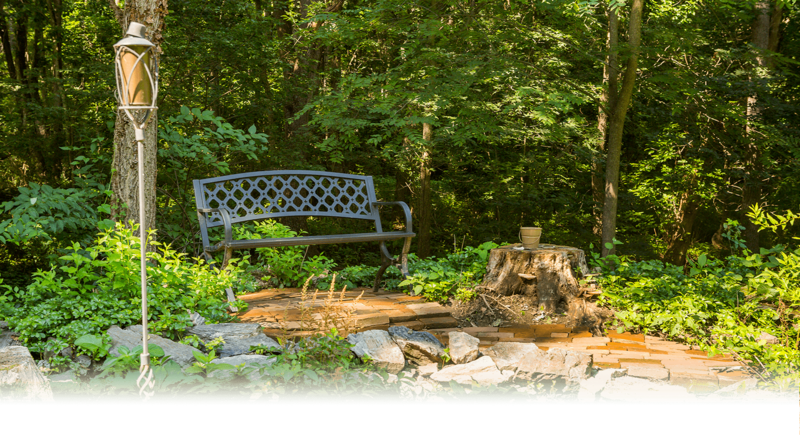 Amish country, outlet shopping, major entertainment venues, antique shops, beautiful parks and nature centers, as well as the charming small towns the county is known for are all short drives from The Hollinger House B&B. And we’re right across the street from Willow Valley Communities. 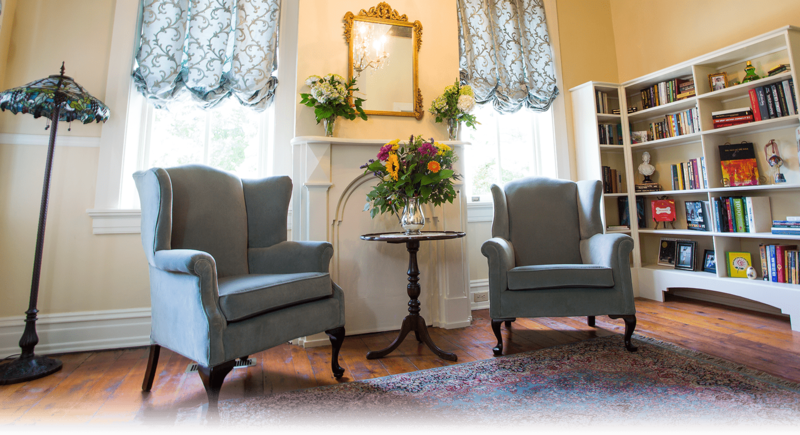 Your innkeepers, Brandy and Theodore, are eager to help with maps, brochures and recommendations to help you get the most out of your time here. 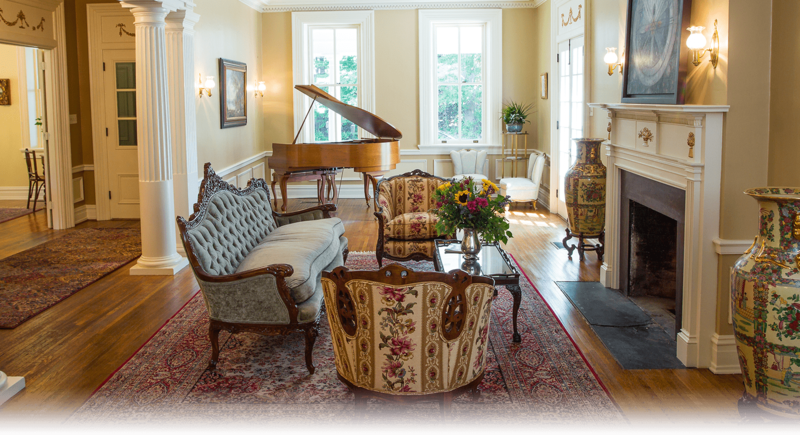 When you stay at The Hollinger House, your visit to Lancaster County is one you’ll treasure! Lancaster In Bloom- With the snow finally melted and weather taking a turn for the sunny, we’re (hopefully) leaving the grey of winter behind for the vibrant colors of spring! 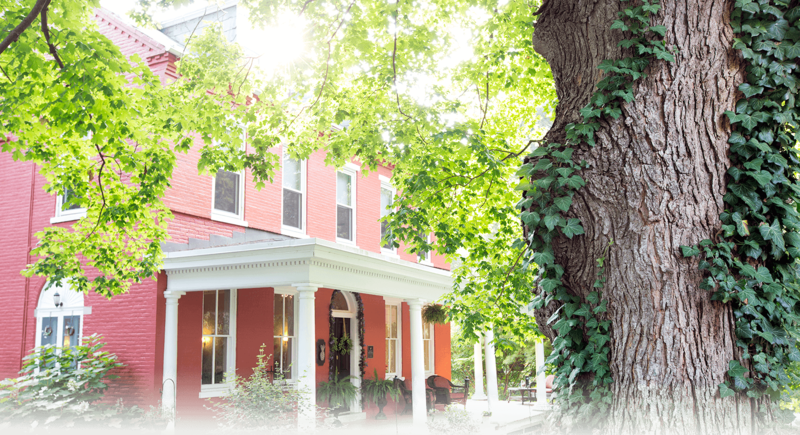 Lancaster County and The Hollinger House Bed & Breakfast truly open up at this time of year, providing visitors with a seemingly endless supply of adventure, entertainment, and … Continue reading "Lancaster In Bloom"
Springtime in Lancaster County- As the snow begins to melt, we’re warming up for another busy spring! 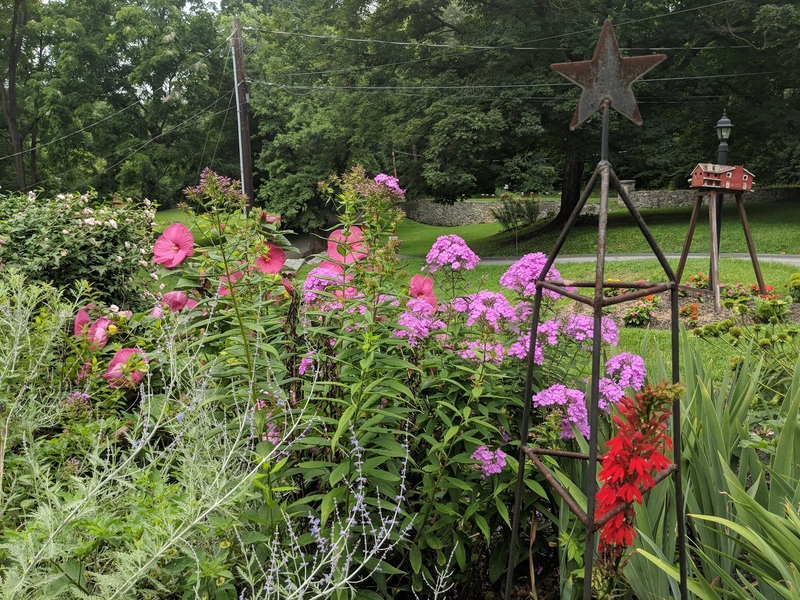 Spring in Lancaster County offers beautiful sights, exciting events and as always, the perfect place to slow down and smell the flowers! One of the most iconic springtime events in Amish country are our Mud Sales. 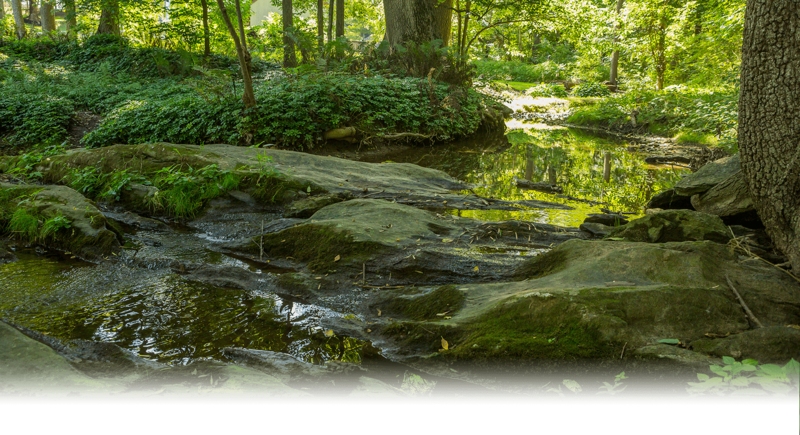 So named because of the typically … Continue reading "Springtime in Lancaster County"
Lancaster Roots & Blues 2019- Warm Up The Winter Blues This time of year, many of us are wishing we could skip ahead to sunnier days. But instead of placing all our hopes on good old Punxatawney Phil, the people of Lancaster have found a better way to warm the soul – Lancaster Roots and Blues Festival! 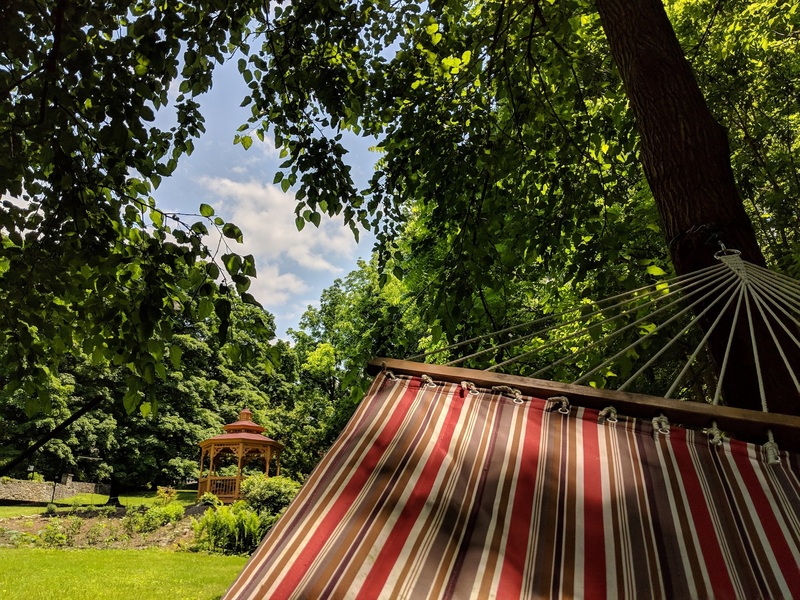 The 2019 Lancaster … Continue reading "Lancaster Roots & Blues 2019"
A Year in Review- Hello and Happy Holidays to each and every guest who has passed through the doors of The Hollinger House Bed & Breakfast throughout 2018! We thought it would be a great time to use one of our blog posts to say thank you to all of the people who helped make 2018 a unique year … Continue reading "A Year in Review"
Christmas In Lancaster County- The Most Wonderful Time of the Year Christmas in Lancaster County is a magical time. Our local farms turn into crisp snow white fields, and Lancaster City turns into a show of lights each and every evening. 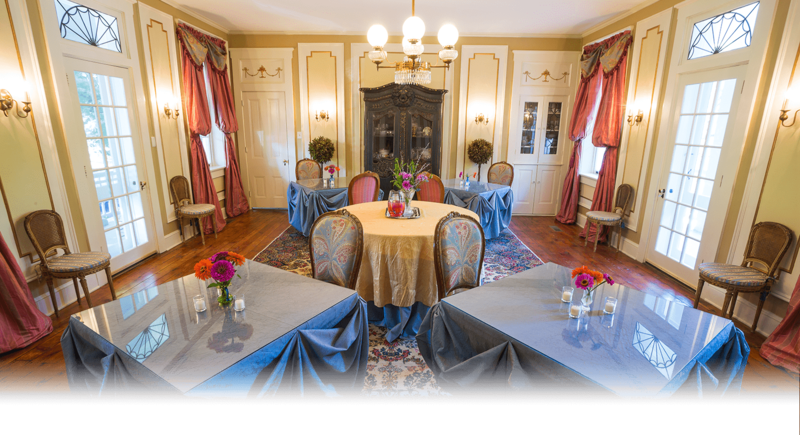 The Hollinger House also joins in on the fun with two 10-foot uniquely decorated Christmas trees, the halls … Continue reading "Christmas In Lancaster County"
promotions and other fun things!